BEG TO COME SEE US! 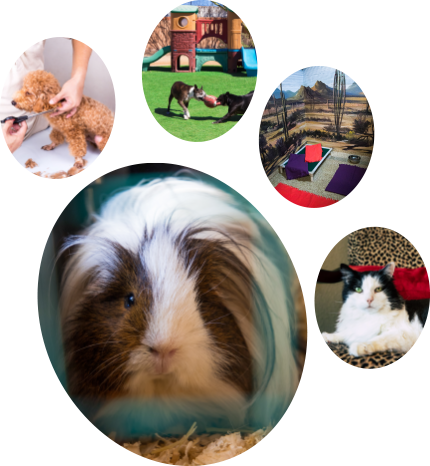 Boulder Falls Pet Resort believes in maintaining the highest quality of pet boarding. The Resort is situated on over an acre of land to provide plenty of outdoor play spaces for our guests. 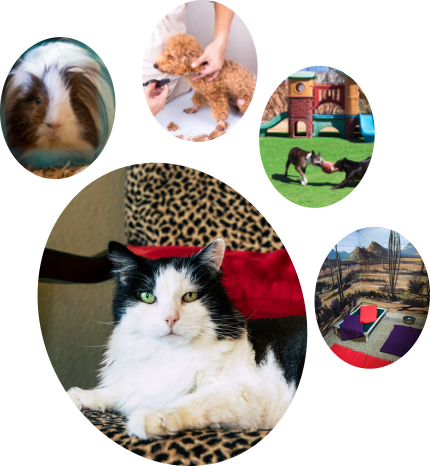 Our fully air-conditioned indoor suites are spacious and comfortable for all sizes of pets. 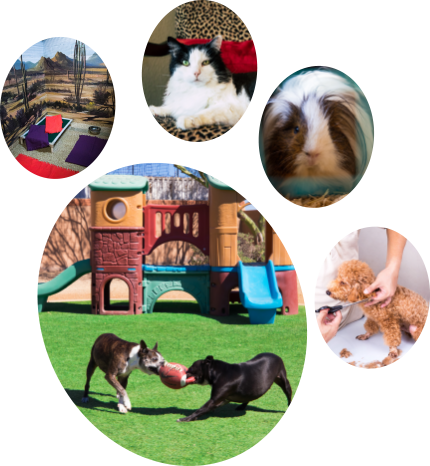 Boulder Falls' all-inclusive pricing can provide amenities such as meals, treats, bedding and at least 3 off-leash play times for qualified guests in a group or individual setting (following evaluation by our staff) at no additional charge. Grooming and Daycare services are also offered at reasonable fees. Tours of the Resort are welcome and encouraged at any time during business hours, so please stop by. We would love to show you around! The Salon at Boulder Falls is open to the public as well as available to our boarding guests. 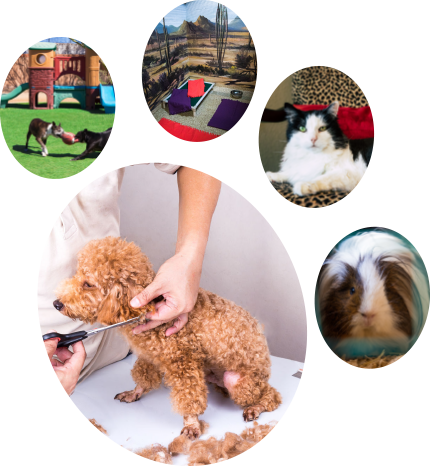 Our talented grooming staff is proficient with all breeds of dogs and cats and will make sure that your pet's Spa Day is fun yet relaxing. 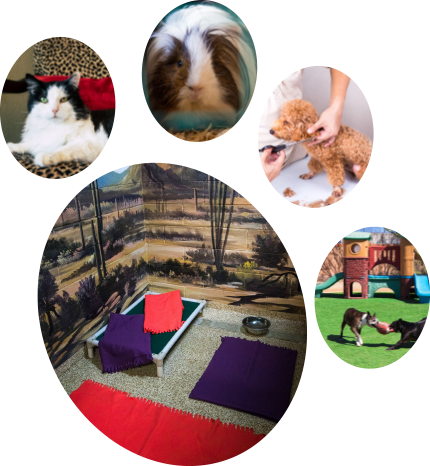 Appointments for services can be scheduled during your pets vacation or at any available time through our reservations desk. Book your pet a day at The Spa today! In addition to overnight accommodations, we offer a safe, fun daycare environment to leave the little ones when you’re away for the day or at work. At Boulder Falls we welcome most small exotic pets. Owners must provide habitat, food, and any other detailed instructions for their care. Please contact our Reservations Specialists to discuss your pets' vacation plans. Our talented grooming staff is proficient with all breeds of dogs and cats and will make sure that your pet's Spa Day is fun, yet relaxing. Appointments for services can be scheduled at any available time through our reservations desk. Tag your Instagram photos with #BoulderFallsPetResort when you share them and they will post to our gallery.